Nike’s switched-around logo treatments are losing no steam as summer passes by and fall arrives. After both the Air Max 95 and Air Max 97 received alternate takes in the past few weeks, a ladies-only Air Max 1 is next up for a logo remake. 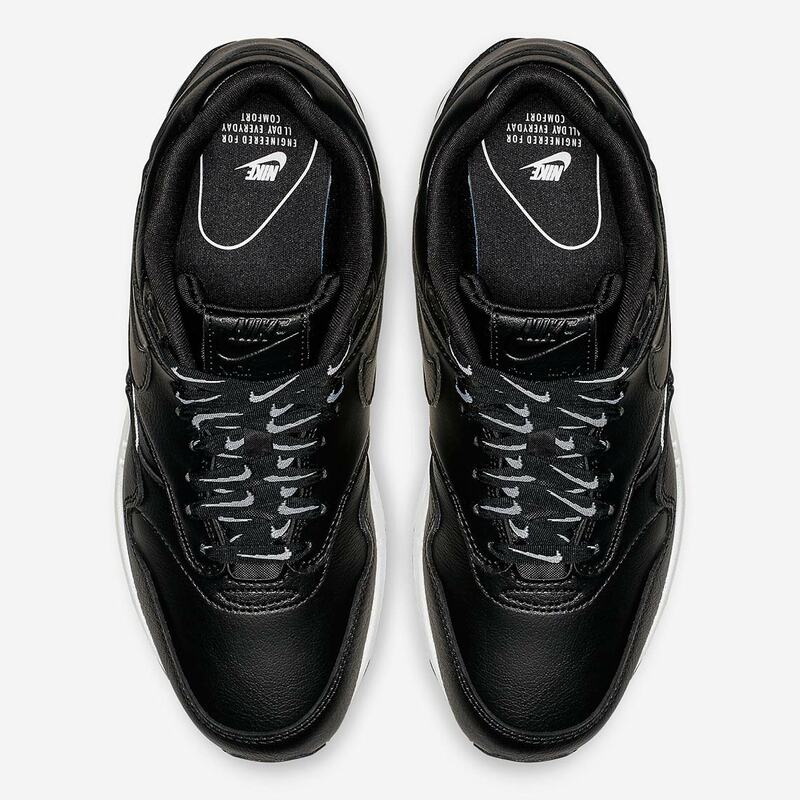 Featuring a supple black leather upper, the shoe’s main embellishments arrive via nylon taping on the quarter panel and all-over white Swooshes on the black laces. 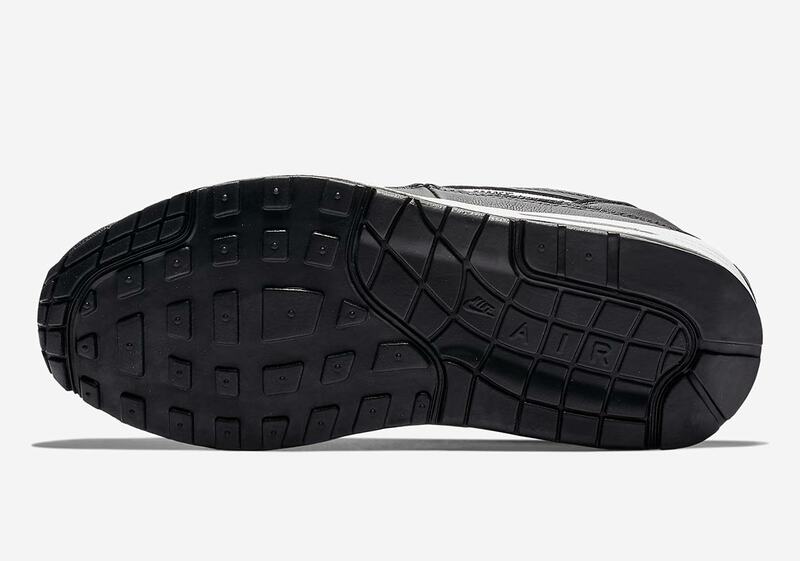 Gone is the standard centered heel branding, replaced by a “Just Do It” logo hit on the left shoe and a repeating Swoosh/Air graphic on the right shoe. 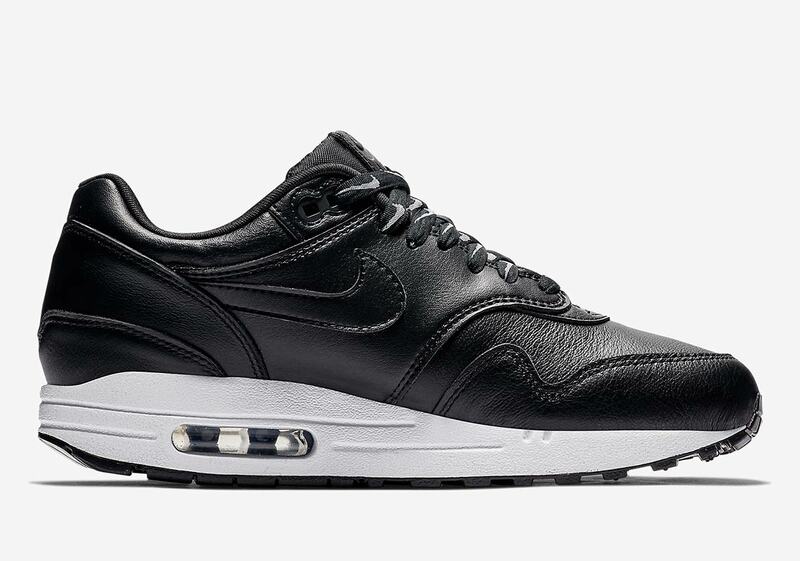 The look is then completed with a white midsole, black Air bubble, and black outsole. These special Nike shoes are set to release in the coming weeks, so be sure to keep it locked here for updates on an exact date as they’re available — and take a look at official images below while you wait. 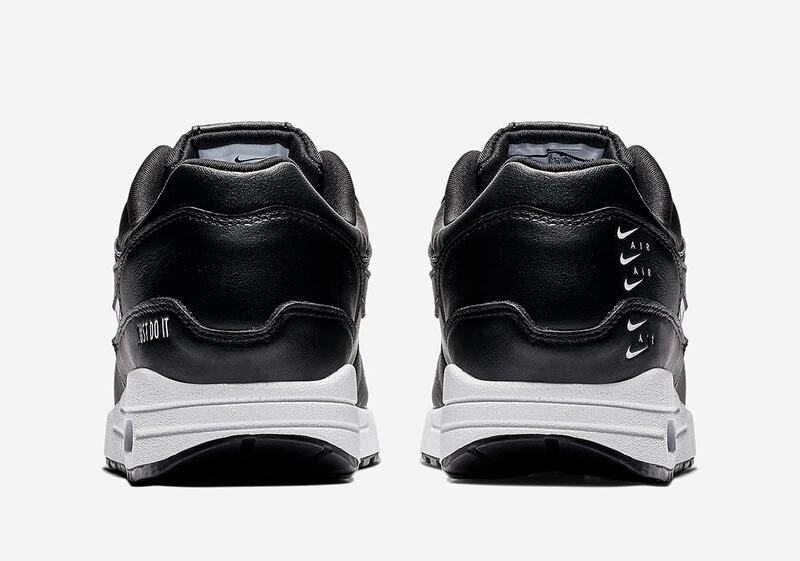 The post The Logo Remix Continues With The Nike Air Max 1 SE appeared first on Sneaker News.